For over 40 years, Primary Rate Interface (PRI) ruled the business phone system market. But with tech advancements, PRI is dated, and most companies have moved to Session Initiation Protocol (SIP). If you haven't moved from PRI to SIP... you will be doing so, soon. So what happens when you've decided to update your business phone service to keep up with your competitors? How will you know when the time is right to migrate service when you're trying to operate your business as normal? At Atlantech Online, we're constantly helping our customers with to answer their questions. You see, most companies aren't sure if the change will interrupt their business operations or if their users will adapt to the change. That's why we'll lay out the eight factors you need to consider before migrating from PRI to SIP. These will set you on the right track and clear up any doubt as to whether SIP is right for you. With any change in service, there's risk involved. If it ain't broke, why fix it, right? Sometimes, the weight of the reward is enough to tip the scales. Additionally, the ILECs are retiring their copper networks so you inevitably are going to have to move from PRI, at some point. And you're not alone.... in fact, by the year 2018, an estimated 70% of businesses made the switch to SIP already, so hopefully that will provide some comfort and help settle any nervousness ("everybody's doing it!"). Still, SIP may not be right for you at this point in time. Use these eight points to make an educated decision on when to upgrade. SIP interoperability is the main factor when deciding if your SIP deployment will be successful. If your SIP service and Private Branch Exchange (PBX) can't talk to each other, your going to have a lot of troubleshooting on your hands. It's also a problem if you switch carriers who don't communicate well with each other. Because SIP is an Internet protocol, software matters far more than it did with PRI. Software allows you to customize your phone to meet specific needs, but since carriers have their own interpretation of SIP, programming won't always translate if you switch to a new provider. For example, if your phone use feature-rich buttons, programmed through software, when you switch carriers, they may stop working. With PRI, interoperability was no longer an issue after the early days of legacy Class V switches. In some ways, SIP interoperability recalls those early days of Class V switch differences. Every company has their own interpretation of SIP, meaning they've setup their products to support how they interpret the protocol. Because of this, it's crucial to validate interoperability before switching carriers. At a minimum, ensure your phone can run the necessary tasks for day-to-day work. If it can't, you have a good reason to hold off on signing a contract. While the lack of shared interpretations can be frustrating, there is hope for better interoperability. Every 18-24 months, the Session Initiation Protocol Interoperability Test (SIPit) holds a conference. This is a week-long event where vendors from around the world bring their implementations to ensure they work together. Although there's a lot of time between events, it still means there's progress in the arena. They've also created an Automated Self Test that can be used to check your SIP implementations in between events. Updating switches is a problem you have much less control over. When you change carriers and initiate SIP trunking services, your carrier needs to ensure that every phone company has updated your new information. Typically this done through clearinghouse services such as Neustar. Every carrier has a switch. While your phone service provider has your correct information, if others don't update their switch database, calls will not get routed properly. For example, if a customer calls, but can't get through, it's likely because their carrier has yet to update your information. Caller ID is in a similar situation. When switching carriers, details can be lost, affecting the way customers see your information. With firm regulations from the FCC on Caller ID, it's critical to keep your information as correct as possible. Local Number Portability means that you can keep your phone number as you switch carriers. Some carriers are better than others at keeping their phone number lookup databases from getting stale. To mitigate risk from both these issues, you need to actively manage your carrier's information on your company and ensure they're updating the proper channels so you can maintain contact outside your organization. As you switch to SIP, you'll likely have to upgrade to a different PBX. Using an on-premises PBX can be costly, and many companies are opting for a cloud-based PBX to meet their needs. Still, this may be more expensive than necessary for a company making the initial transition to SIP. Higher costs makes finding a PBX-as-a-Service provider a better option. Outsourcing to a cloud-based PBX service or provider offers lower implementation costs, an improved ability to scale phone lines, less maintenance from your staff, increased reliability, and better business continuity. It's the perfect compromise between managing your own network and not over-spending. Plus, they're used to switching a business from one carrier and PBX to a new one. A good carrier (like Atlantech Online... selfish plug!) will have well rehearsed procedures on how to make your transition smooth. When deciding whether to make the transition, it's important to know the extent and status of the network you'll be using. First, ask your carrier if their network has only one path to the public switched telephone network or do they have planned resiliency and connect to multiple networks. If it's the latter, there's a good chance your service will be of higher quality than the single path solution. Additionally, find out if they integrate with any PBX system. Some networks will only operate with a certain PBX, limiting your options. If you use Mitel's Hosted service, you can't use other handsets made by lower cost or better quality vendors such as Polycom. Either way, finding a network that covers everywhere you need and works with your required services will give you more control and ultimately, more flexibility. A Session Border Controller (SBC) is a system that acts as a gateway for your dial tone, routing calls to their correct destination. Imagine it like a switchboard operator in the 1950's, plugging and pulling calls to ensure they get the right person on the other end. Using SIP requires an SBC to set up and tear down calls. As a bonus, an SBC serves as a firewall for your phone system. You can establish criteria that tell the SBC whether to permit or deny calls, such as international numbers. If you've chosen to work with Atlantech, we'll provide the SBC so you don't need to worry about purchasing or managing your own. Having to own and manage your own SBC adds a significant layer of cost and complexity that you should try to avoid at all costs. Any computer can turn into a phone with a simple headset and software, also known as a "softphone." This allows employees to call in from any computer with the software installed, allowing them to join conference calls or other meetings without needing their own VoIP phone. You can also instant message other people on the hosted PBX platform, and those instant messages can interact with other messaging platforms. You can provide presence indicators to others in the office, or even to the public. Publish your status such as "in a meeting," or "away from desk," so people have an idea of why you're not answering. Metrics and analytics can be leveraged to improve business processes. And, possibly the most significant benefit of voice as another data application on the network is the capability to extend office communication infrastructure beyond the walls of the local office. With softphones, you can communicate, regardless of your physical location; in the field, on-site, or even while in transit. SIP enables a new level of conference calling. With PRI, you're limited to less than 23 lines on the same call. Because SIP operates in a packet switched fashion, you're liberated from depending on circuit switching. Additionally, it makes it more affordable to conduct a high quality video conference with as many people as you need. This is especially useful for large organizations or those who are spread out over greater distances. When you add the fact that participants can call in from a softphone or any SIP-enabled IP phone, you gain flexibility you didn't have with earlier options. Finally, you need to verify whether your provider can pass calls into the U.S. 911 infrastructure. If an emergency occurs, you need to make sure you call gets routed to the proper PSAP. Because of E911 database issues, some calls may not connect to the right E911 operator. There's also a chance that although the call connects, the data required to dispatch the authorities is not sent. Making sure that how you make and where your E911 calls get routed is factor that you definitely need to account for when making the change from PRI to SIP. Use these factors to decide if it's worth migrating to SIP. Even if you don't find the benefits outweigh risks, there are ways to mitigate issues along every step to make it a more viable option for your business. Before you make the official transition, alert any stakeholders that the change is taking place. They'll be more understanding of communication issues if they know you're facing challenges from the migration. And if you need help understanding what questions you should care about when selecting a phone service, we've written a guide specifically for you. 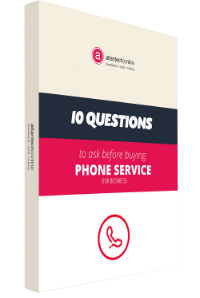 10 Questions to Ask Before You Buy Phone Service for Your Business will spell out everything you need to ask and why it's essential. 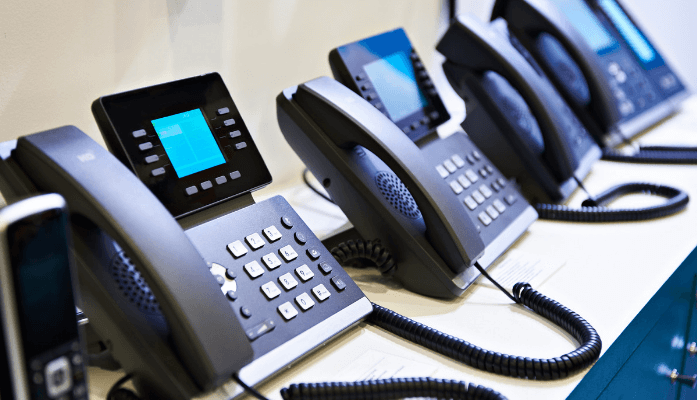 Once you know what you should be buying, our Essential Guide to Phone System Pricing will help you understand how features and redundancy affect your overall price tag.